A hidden blade slides down the doorway, mincing the two fighters and the cleric. The thief gets nine crossbow bolts in his back, and the magic user is hit by an intense beam of light, burning a hole through his head. A good first step on the road to becoming a Killer DM is to run a one-shot with a system and/or adventure that’s explicitly designed to kill off plenty of PCs (and I mean plenty, i.e. at least a dozen). 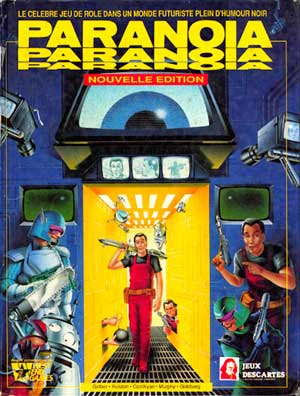 I can heartily recommend the 'character funnel' from DungeonCrawl Classics RPG where every player runs 2-4 characters (you can find my write-up of the funnel by way of the introductory adventure here) and good ol' Paranoia, where each PC has five clones waiting in the wings. With such a one-shot, it should be easy to show your players that character death can be great fun. More importantly, running such an adventure can help you to overcome your inhibitions and (re)discover your killer instinct.